“The expatriate communities have made remarkable contributions in their participation with natives the joy of National Day. The announcement comes amid a population surge that is swelling the number of expats here even further. More than 80 percent of the country’s residents are now thought to be foreigners, and the demographic shift has spurred a host of socioeconomic and cultural problems. Those include, but are not limited to, competition for jobs, questions about practicing religion, rules on imbibing alcohol, fostering ties between communities of different races, and managing gender relations, given the skewed 3:1 male/female ratio. 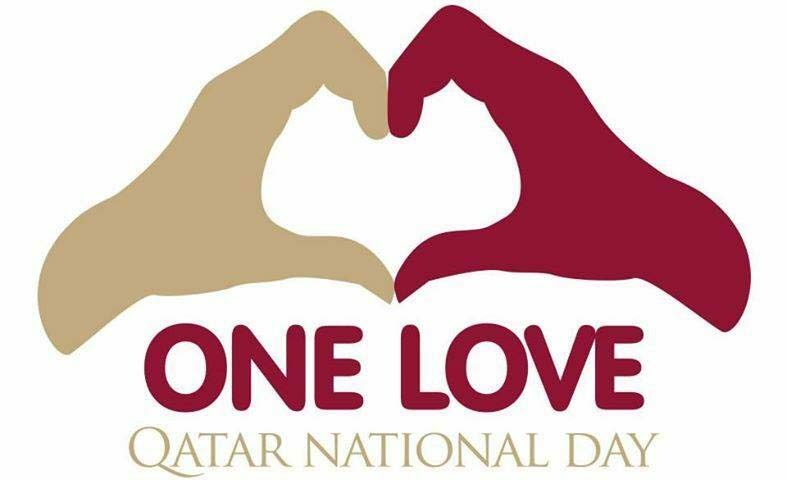 As Qatar’s expat population is only expected to continue growing in the run-up to the 2022 World Cup, the theme of “One Love” and inclusiveness seems more relevant than ever. In keeping with the theme, the organizing committee has announced a series of large National Day events around the country, that for the first time will specifically be aimed at expat communities. These events, which are being held in cooperation with expat community schools and cultural groups, will be held at West End Park near the Industrial Area, Al Wakrah Stadium, Al Rayyan Stadium and Al Khor Stadium. Organizers said that all four sites will offer a day full of entertainment and activities running from 8am until 10pm, with representatives of the Indian, Nepalese, Sri Lankan, Bangladesh, Pakistani, Malaysian, Filipino and Indonesian communities taking part in the entertainment program. In keeping with the committee’s stated aim of “events that not only entertain, but also raise awareness of key issues, such as health,” there will also be sports activities (some competitions with cash prizes) at each venue, as well as health clinics checking blood sugar and offering health advice. More details about these stadium programs can be found here. These regional events will complement the main program on the Corniche on the 18th. A schedule for this has yet to be announced, but based on previous years, you can expect a parade, fireworks and aerial displays. Things usually get underway at around 8am, with spectators arriving on site well before 7am to guarantee a good spot. Our annual National Day guide is in the works, so stay tuned for that once the schedule for the day has been firmed up. Qatar National Day takes place every year on Dec. 18. It marks the day in 1878 that Sheikh Jassim Bin Mohammad Bin Thani succeeded his father as leader of the tribes of Qatar. Fighting for independence from the Ottomans, the British and other Arabian Peninsula tribes, Sheikh Jassim is considered the founder of Qatar for unifying oft-divided local tribes under his leadership, and winning autonomy for them. Will you be going along to any of the events?